If you own a dual axle trailer, then you know exactly how difficult it can be to move by hand. 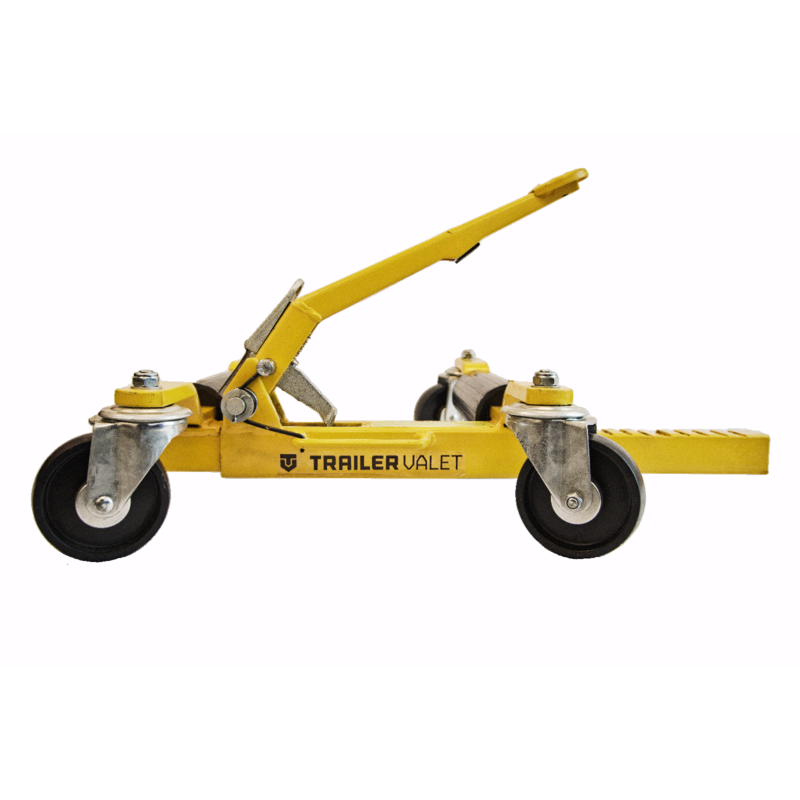 With the Trailer Valet Wheel Dolly, you can alleviate some of that excess weight from the axle, mimicking a single axle trailer! The Wheel Dolly is perfect for eliminating drag from the back tires that fight against one another, allowing the rest of the tires to rotate freely and much more easily. 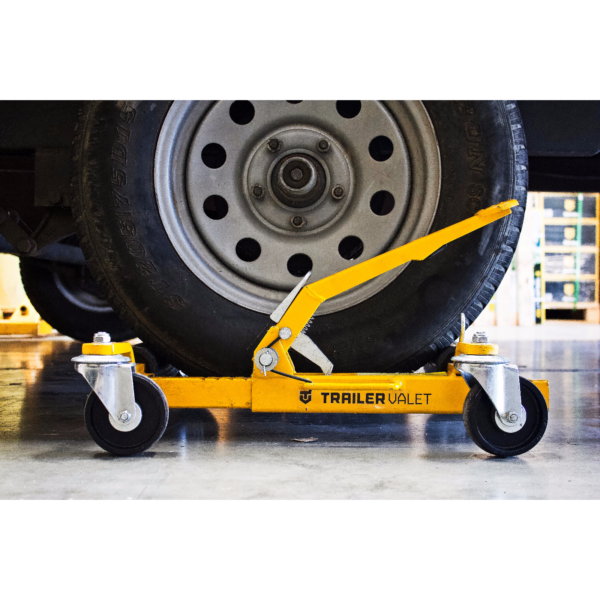 Use the Wheel Dolly with your Trailer Valet in those difficult spots where your dual axle would normally weigh you down, and make moving your dual axle easier than ever before!